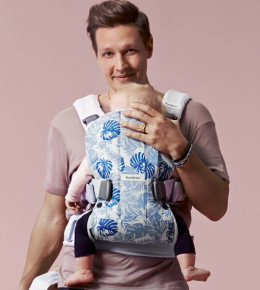 We absolutely love this sling from Baby K’Tan, it is by far the easiest sling to put your baby in and out of, you can have your baby in this sling and ready to go in under 60 seconds. How the sling works is two looped pieces of fabric that you place over your neck like a necklace, you then put one arm through each loop of fabric which creates an X like sling across your chest, you can then easily slip your baby in. This is definitely our favourite sling for wearing around the house as it is so quick and easy to slip on and it is extremely comfortable for both you and baby. It allows your baby to be worn in multiple positions and we found it absolutely perfect for doing skin to skin. 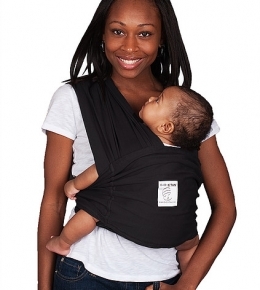 The only negative about this sling is the size can not be adjusted, you need to purchase the correct size for your body which means in most cases it can not be worn by both mum and dad. This is definitely our favourite sling for the dads. We find that a lot of dads are not too keen on wearing fabric slings and prefer something with a little more structure. The ergonomic BabyBjorn Carrier One is absolutely brilliant for being out and about, it is equipped with a sturdy waist belt and padded, form-fitting shoulder straps to make it comfortable for carrying a growing child from newborn up to the age of three years. The waist belt allows you to support the child’s weight on your hips, and avoid back and shoulder discomfort. You can vary between four ergonomic carrying positions throughout the period of use, with your child sitting in either the normal or wide leg position. Once you have adjusted all the straps it is super quick and easy to put on and it feels really supportive. Another bonus is it is classed as a hip healthy carrier. We absolutely love the new #dadstories Baby Carrier One collection which is inspired by modern-day dads’ fashion. It is available in three mesh options: Powder Pink, Cocoa, Anthracite, and three cotton options: Classic Denim, limited edition Pale Blue-Leaf Print and Midnight Blue-Leaf Print. This is the perfect sling for mums to wear when they are out and about, not only is it super comfortable for both mum and baby but babies just can’t help but fall asleep in it, leaving you free to get on with your daily activities. 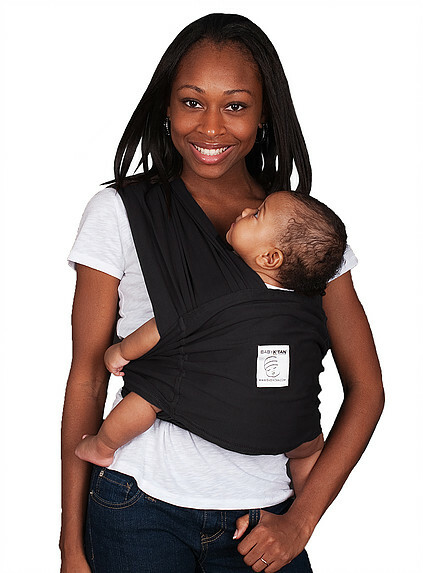 The award-winning carrier is made from the softest cotton and is designed so you can put it on really easily. Unlike other fabric slings there is no messing around with endless bits of fabric, you simply slip it over your head, slide baby in between the two pieces of fabric across your chest and then pull the fabric tightly through the rings on either side of your waist to make sure baby is nice and snug. 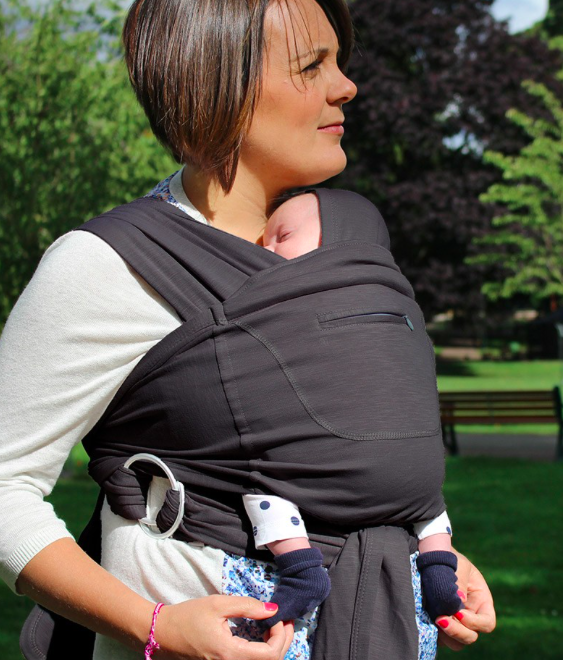 There is an extra piece that is then tied around you and baby for maximum support and it even has a handy little pocket for any little bits and pieces you may want to easily access. We absolutely loved this sling and would highly recommend it to anyone who wants a fabric sling without all the faff.